Oklahoma Connection | Petree was born in Union City, Oklahoma. F. M. Petree was one of the primary architects and champions for the “revitalization and renaissance” of Oklahoma City University, called by The Oklahoman newspaper the “Miracle on 23rd Street.” In appreciation, the university’s Board of Trustees named the College of Arts and Sciences in honor of F.M. and Thelma Petree in 1982. Oklahoma native Ferris M. “Pete” Petree graduated from Verden High School in 1924, attended the Oklahoma University Arts and Sciences College, and graduated from the College of Law at the University of Oklahoma in 1930. He began his varied and dynamic career as an insurance claims adjuster and became managing partner of Petree Industries, involved in gas and oil production. He was a partner in Industries Company and also a managing partner of Petree Valley Farms. In the business world, he served as a member of the Board of Directors of the Oklahoma Mortgage Banker’s Association and on the Board of Governors of the Mortgage Banker’s Association of America, also serving on the organization’s executive committee. Along with partner Don R. Nicholson, he organized the Home Industries Company which was engaged in commercial and real estate development and management. 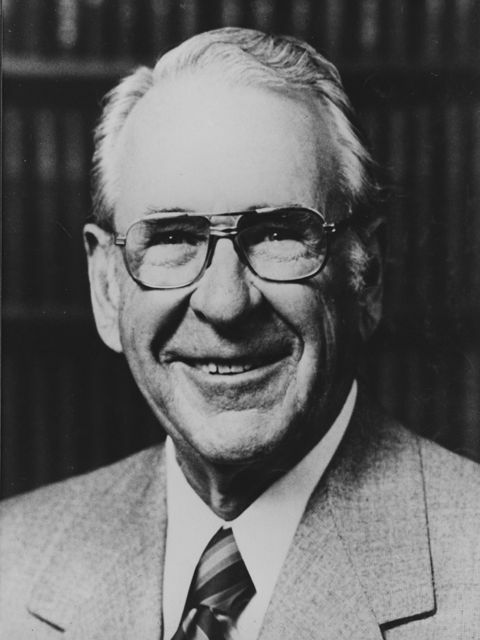 Through the years, Petree was active in civic, church, business, and charitable affairs, and was the highly successful chairman of the executive committee of the Board of Trustees of Oklahoma City University, playing a major role in the rallying of that institution from near financial ruin to financial stability and growth. He was the recipient of the coveted Oklahoma City University Distinguished Service Award in 1980.